Janet Owen Thomas leapt to prominence with the UK premier of Rosaces at the 1991 BBC Proms, where she was the youngest composer featured that year. The work has now been performed in over a dozen countries world-wide. Born on Merseyside of Welsh and German parentage, Janet Owen Thomas was already composing actively when she entered Merchant Taylors Girls School, before reading music at St. Hugh�s College Oxford where her teachers included Jane Glover and later Robert Saxton (composition). In 1984 a James Ingham Halstead Scholarship took her to Hamburg to continue her studies with Ligeti: it was also the year she received the commission for Rosaces from the distinguished German organist Johannes Geffert. With her return to the UK, requests for new works and a developing career as a concert organist with recitals throughout Britain allowed her to follow her passions of composition and performing well into the �90s when the demands of composing, teaching (privately, at the Minster School York, later at the music department of Huddersfield University), and ill health increasingly forced playing to take a back seat. Following the premier of her choral New and Better Days, commissioned to mark the opening of Liverpool�s new Tate Gallery, she spent a year reading for a degree in Music Technology at York University before taking advanced composition studies with Anthony Gilbert at the Royal Northern College of Music. It was at this time that she developed an interest in fractals, on which she has written a number of articles. 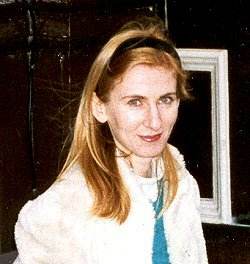 In 1992 she wrote her Concerto Grosso Cantus for Bang-on-a-Can (the only British work scheduled for that year�s festival), subsequently performed at the Goldberg Ensemble�s Contemporary series at the RNCM, at Manchester University and broadcast by R3, leading to the series of small ensemble works which have been extensively performed and broadcast. Always structurally based, her work is seldom purely abstract in concept, but often employs intellectual processes and disciplined form to shape and clarify ideas that find their stimuli in extra-musical inspirational areas. She was active in many musical genres with a special affinity and flair for ensemble and solo, particularly vocal, writing - qualities combined in Under the Skin (a BBC Commission for the 1999 Huddersfield Festival of Contemporary music), and the strong rhythmic and harmonic sense that permeates the Preludes for piano of which a selection was premiered in London in 2000. Widely performed in the UK, Janet Owen Thomas is perhaps better-known overseas, and enjoyed recent performances in the US, Germany, France, Denmark, Spain and Eire. In Britain she was commissioned or performed by The BBC, Goldberg Ensemble, Park Lane Group, the Allegri and Bingham Quartets, Gemini, Boccherini String Trio, Stephen De Pledge, Mary Wiegold, Lontano, Kevin Bowyer, The Option Band and others. She lived and worked in York dividing her time among teaching, writing and composition; at the time of her sudden death in June 2002 she was about to embark on a commission for a concertante for organ, strings and percussion.